If you get: "Error, SSTLM Environment variable not set" message, take these steps detailed below. 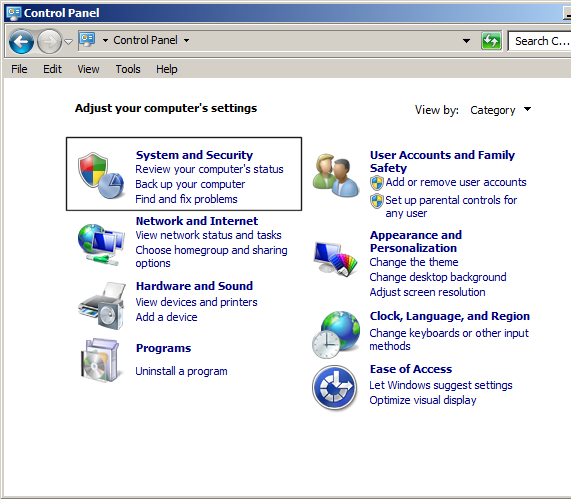 Open the Control Panel and double-click on the System and Security icon. 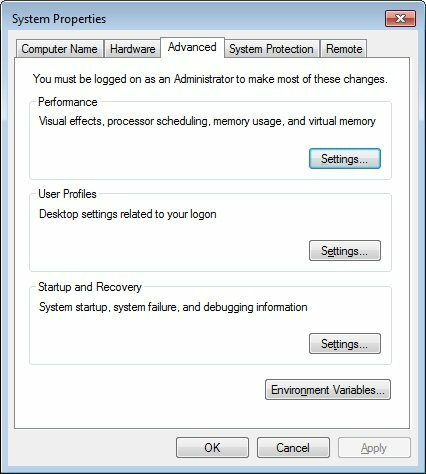 After opening the System and Security window, click on System. 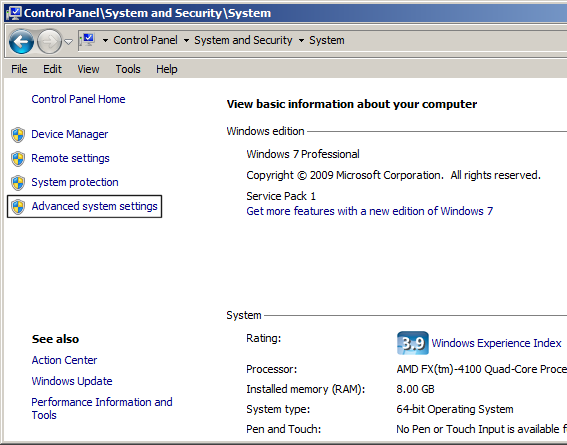 After opening the System window, click on Advanced system settings. 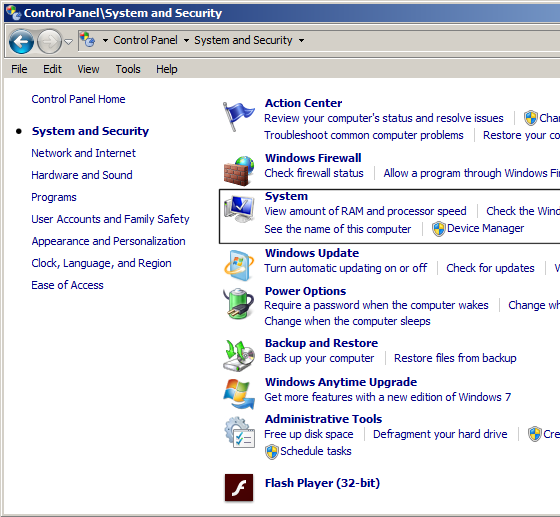 After opening the Advanced system settings window, select the Advanced tab. Next click on the Environment Variables button. 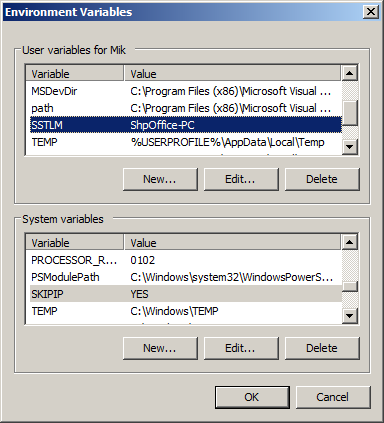 After opening the Environment Variables window, add a new User Variable (not a System Variable). Enter "SSTLM" in the Variable Name field. Enter the IP Number/Hostname of the computer on which SSTLM resides on in the Value field. NOTE: For network licenses with multiple users/client machines. In order for Client machines to access the license hosted by SST License Manager (installed on server machine/computer) please use the server machine/computer IP Address/NAME in the SSTLM Environment Variable Value field instead of the client machine IP/NAME. If possible, install and run CAEPIPE/SSTLM software using the console as if you were "local." When defining the SSTLM environment variable, you can reference the hostname of any other computer on your subnet. If across subnets, open port 12000 on your router/firewall.